Elite Moving Labor is a website dedicated to providing online shoppers with moving labor help. 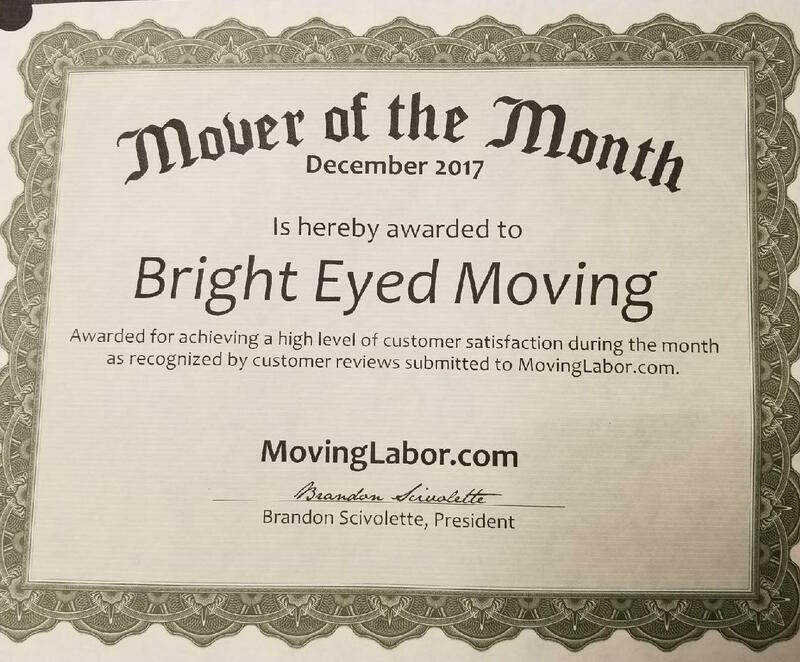 As a registered vendor, Bright Eyed Moving will complete local and long distance labor services in Ohio. Our status on Elite Moving Labor is a true testament to our commitment to quality service and support. Stringent requirements, flexible scheduling and great rates all factor into the equation! Customers often request labor only services. This typically means that you have rented your own truck or are furnishing your own mode of transportation, and simply need help packing, loading and unloading your belongings. This can be a great, cost effective way to complete your move! Movinglabor.com by Elite Moving Labor offers online visitors a way to select pre-screened moving companies using a very easy online process. If you are planning a move and need moving labor help or full-service moving support, get a free moving quote today!